Security experts continue to warn against using SMS for two factor authentication. While it’s definitely better than just relying on good old passwords, it still exposes users to known flaws in the SS7 protocol that could be exploited by attackers to bypass the 2FA protections. What to do then? Rely on apps like Authenticator or security keys known as U2F devices. It now appears that Google is adding this physical aspect of the two factor authentication process right in its Pixelbooks. A new feature has been spotted (reported by 9to5Google) that lets you turn your Pixebook’s power button into a U2F token (universal second factor). Make sure you have the latest version of Chrome from the dev channel. Download here. Open Chrome Shell by holding down CTRL + ALT + T.
Once set up, you can go to your Google Account settings (or other accounts like Dropbox) to add your Pixelbook as an additional security key. It goes without saying that since this is a beta feature and under development, it probably won’t be 100% reliable right now. 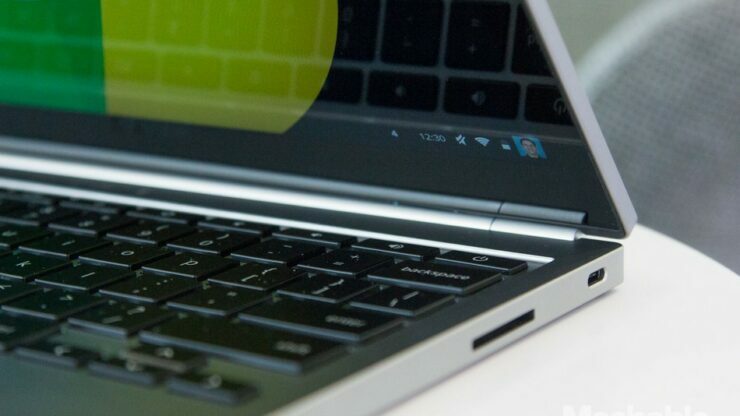 Some expect this feature to be extended to all Chromebooks, however, it appears to be only working on Pixelbooks right now.